A Sanford judge today put an end to George Zimmerman‘s libel suit against NBC Universal. Circuit Judge Debra S. Nelson ruled that the former Neighborhood Watch volunteer is entitled to no money from the media giant. George Zimmerman was ruined by undue and unjust persecution due to the perverse manipulation of public opinion by the press and the justice department. Like most PC (political correctness) lies  , this also remains unpunished. She issued a summary judgment in the network’s favor, meaning that unless an appeals court reverses her, the case is now dead. Zimmerman had filed suit two years ago, accusing NBC of falsely portraying him as a racist in a series of broadcasts shortly after he killed Trayvon Martin, an unarmed black 17-year-old, in Sanford. 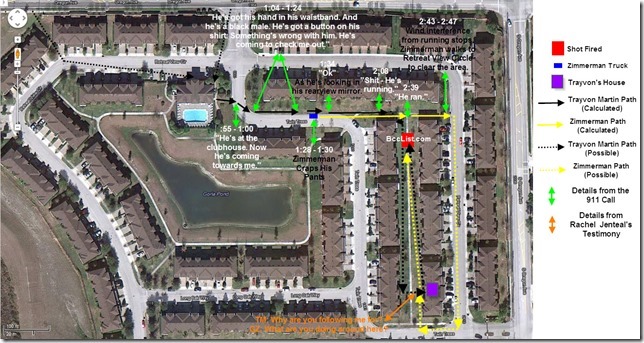 Editors shortened audio from a 911 call Zimmerman made to a police dispatcher the night of the shooting, making it sound as if Zimmerman volunteered that Trayvon was black and that he racially profiled the Miami Gardens teenager. 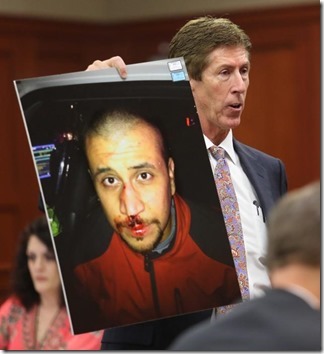 2) and George Zimmerman, his face bloodied, immediately after his fatal confrontation with Trayvon Martin. Please read our lengthy writings about the George Zimmerman / Trayvon Martin self defense case. 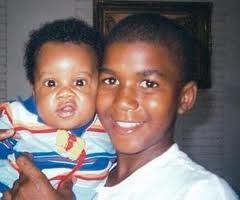 The blatant misrepresentation of George Zimmerman and Trayvon Martin‘s picture was only surpassed by biased media reporting, undue interference by none less president Obama, illegal action by the prosecution (hiding of evidence), unpunished death treats and lots of serious beatings to innocent’s under the guise of "This is for Trayvon". George Zimmerman is considered guilty in the public opinion. George, vigorously pursued little weak innocent Trayvon Martin, and gunned down an unarmed teenager who only carried skittles and ice tea and who dreamed of . Defense lawyer Marc O’Mara managed to raise reasonable doubt. Thus the jury had to acquit, because Zimmerman’s guilt could not clearly be proven beyond reasonable doubt. 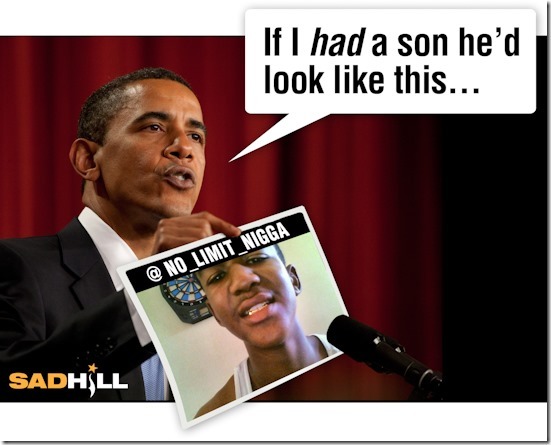 Zimmerman is guilty, but the prosecution just failed to to convincingly prove Zimmerman’s guilt beyond reasonable doubt. George Zimmerman‘s lawyer Marc O’Mara’s defense won a battle but lost the war. 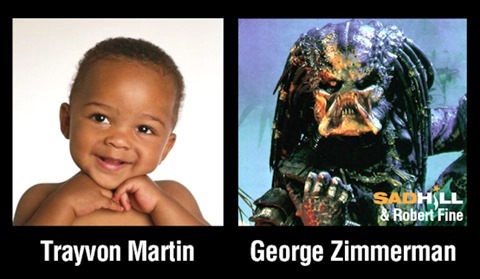 George Zimmerman is a world-wide pariah. 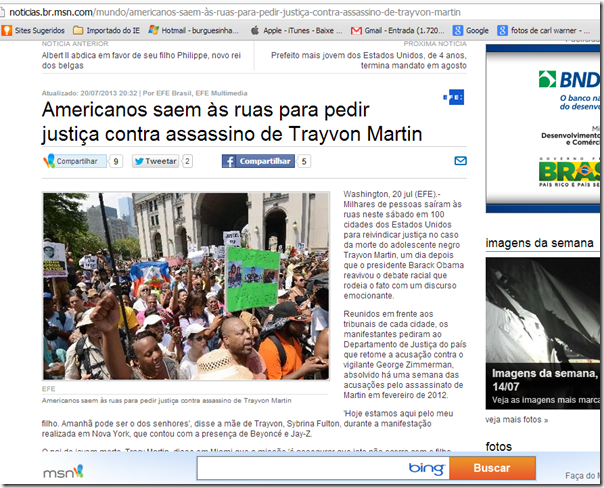 We read the press in Germany and Brazil. 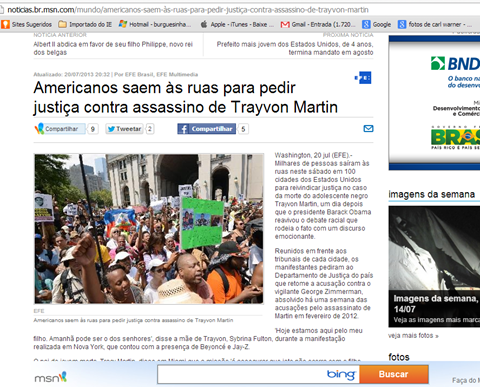 MSN Brazil calls Zimmermann Assassin. Sharpton asked O’Mara how Zimmerman can plead self-defense if, as heard in the 911 tape, he was actively pursuing Martin, contrary to the advice of the operator. Al Sharpton firmly tells a damaging narrative "Zimmerman chased Martin". Sharpton is firm and convinced, and thus convincing. Sharpton does not care about evidence, proof, or if his story is true or not. He firmly believes what he says and thus convincing( Robert Trivers: Self deception, Robert Kurzban). He is unimpeded by doubts, reasonableness, fairness. A partisan. Al Sharpton does not care if it is true or not. O’Mara’s lame reply comes over like this: "Well, Zimmerman is guilty, he chased down the poor teenager and started the fight. But it can not be conclusively proven. Of course, I understand and respect your opinion, Mr. Sharpton, but you can not prove it"
OK, he did not say this, but that is what it sounds to an unsophisticated TV viewer that has been exposed to the relentless smear campaign against George Zimmerman. Marc O’Mara seems to be trying himself to figure out what really happened and who started the fight. A reasoned, legalese, open minded opinion behooves a judge, not a defense lawyer, much less a TV propagandist. Mr. Sharpton, you are dreaming. 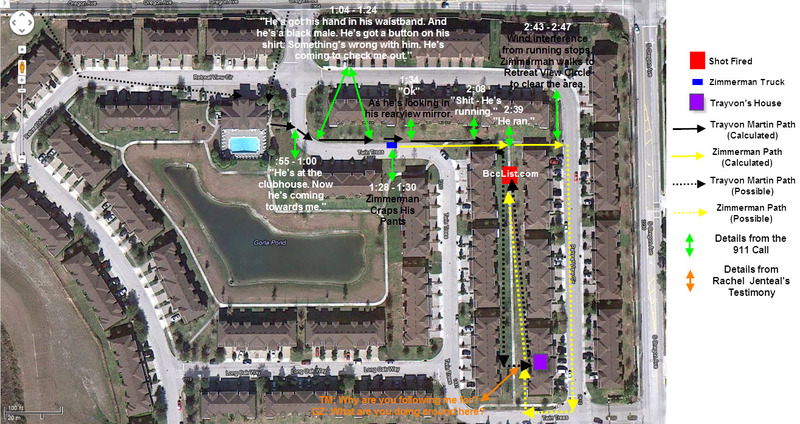 Mr. Zimmerman stopped and waited, Trayvon Martin came back and viciously assaulted and attacked George. How would the US Department of Justice, President Obama, the entire world press conspire to engage in a campaign of lies, deception and misinformation? We used to believe in an objective investigating press in the Western democracies, US, Europe, elsewhere. But political correctness utterly corrupted freedom of press and academia. Hate crime laws prohibit true information about race, crime, and iq, feminism corrupts academic research about domestic violence and legal due process. We bemoan our loss of freedom, our constitutional rights, are dumbfounded and still seek explanations for such misinformation campaigns. Do these journalists, prosecutors, opinion-makers self-deceive and really believe in their own lies? Had Press and Government told the truth about George Zimmerman‘s clear self defense, the New Black Panthers would not seek vigilante justice, Blacks would not feel entitled to commit violent crime "in revenge for Trayvon Martin: Remember the misleading edit of the 911 tape, cause of a law suit by George Zimmermann against NBC? 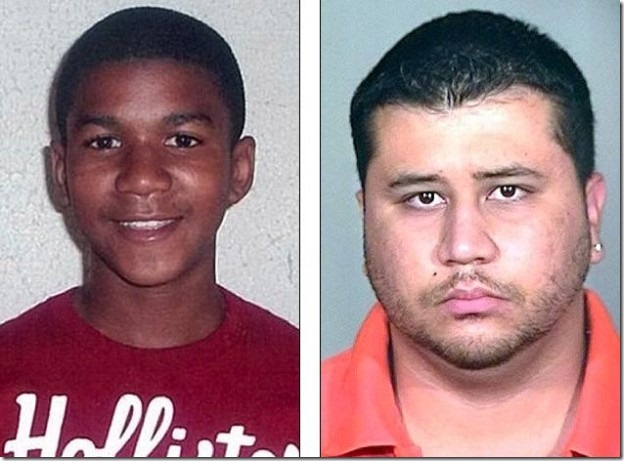 Had the press chosen to always show the following photos of George Zimmerman and Trayvon Martin, the trial would have never happened, or the verdict readily accepted. George Zimmerman’s head 2 minutes after the shooting. 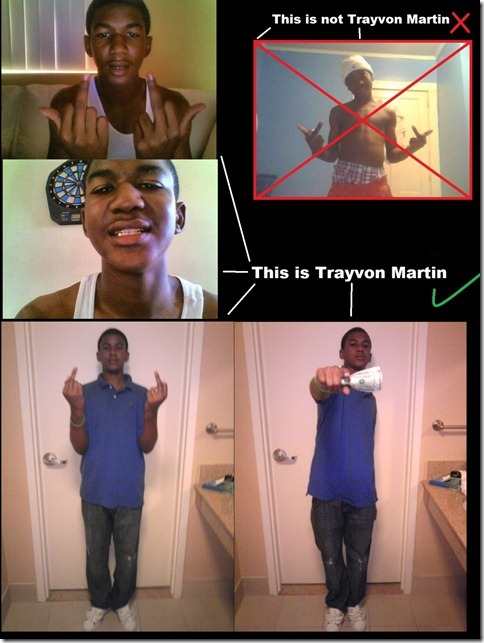 Below recent photos from Trayvon Martin’s own social media. Instead the press chose to show Trayvon Martin as an angelical 12 year old boy, and used Zimmerman’s heavyset mug photo, falsely suggesting a huge weight and fighting advantage for Zimmerman, and, falsely, a criminal past for George Zimmerman. By any objective standard, the prestige press has shamed itself by its repeated distortions of the facts to make them fit its desires for a tale of White Privilege, Innocent Black Victimization, and Stereotyping. (Of course, by controlling the narrative, there will be virtually no accountability.) As I’ve mentioned before, when the press decides to go all in on a race story, they seem to pick ones that unravel into travesties at a higher than random rate. 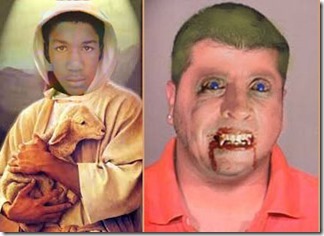 This story began to fall apart the moment George Zimmerman’s picture was printed. The trial was based on an illegally lying prosecutor who would not have had a case, had she told the truth. conspire to engage in a campaign of lies and distortion? Our belief in a free and objective press in Western democracies lies shattered. The press, in unison with the US government and justice engaged in a successful campaign of lies, deceit, and omission.